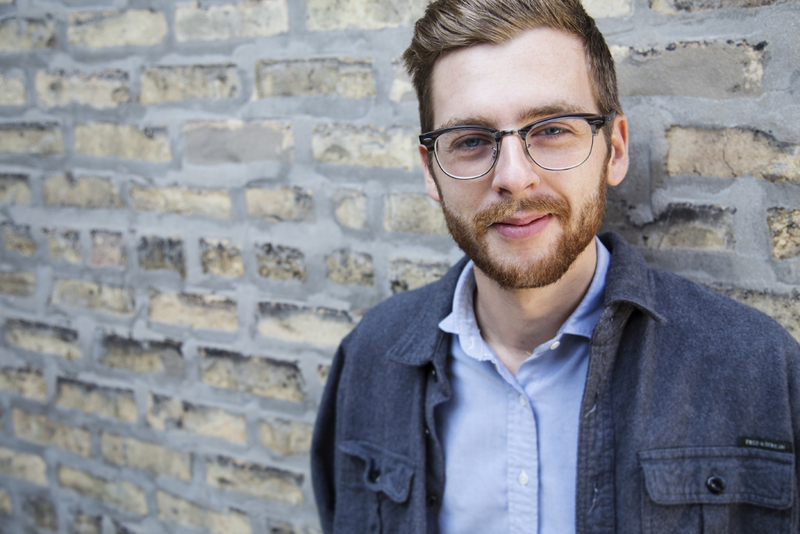 Jackalope Theatre Company, a collective founded and led by Columbia College Chicago Theatre Department alumni, is presenting the world premiere of a new work by resident playwright Andrew Burden Swanson. The company also has just received the prestigious 2015 Broadway In Chicago Emerging Theatre Award, established to encourage, support, and promote young theatres in Chicago that have demonstrated great ability and promise, artistic excellence, and fiscal responsibility in business practices. Andrew Burden Swanson‘s new play, Lunacy! 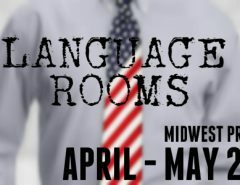 (A Cryptohistorical Comedy), runs May 12-June 20 at Broadway Armory Park, 5917 N. Broadway in Chicago’s Edgewater neighborhood, where Jackalope is a professional company in residence. The play is inspired by conspiracy theorists’ claims that the 1969 moon landing was a hoax. In this madcap comedy, set in ’69, a young physicist is hired by the government to film a simulated landing on the moon to dupe TV viewers. Lunacy! is directed by Gus Menary, co-founder and interim artistic director of Jackalope. 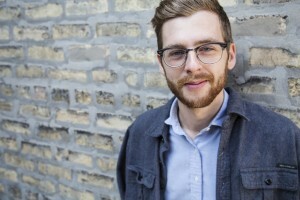 Both Swanson and Menary studied at the Columbia College Chicago Theatre Department. Other Columbia alumni involved in the show include cast members Pat Whalen and Kaiser Ahmed; lighting designer Claire Sangster; dramaturg J. Cody Spellman; and technical director Alex Hand, a graduate of Columbia College’s film program. Tickets for Lunacy! 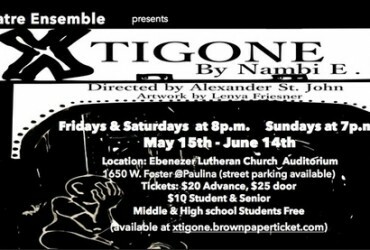 are only $5 for preview performances May 12-17. The production opens May 19. Tickets for shows through June 20 are $15-$20. For tickets, click here or call 773-340-2543. The production comes just as Jackalope has been named the recipient of the 2015 Broadway In Chicago Emerging Theatre Award. 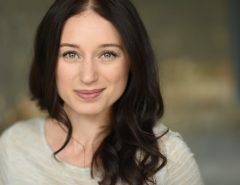 The award is funded and presented by Broadway In Chicago, the company that operates the Oriental, Cadillac Palace, and Bank of America theatres, which host national touring companies of Broadway shows as well as pre-Broadway tryouts of new productions. The award provides a $5,000 cash prize, consultation with Broadway In Chicago staff members, and a marketing package contributed by the Chicago Tribune that includes advertising support. The award was created in 2007 to encourage, support and promote young theatres in Chicago that have demonstrated great ability and promise, artistic excellence and fiscal responsibility in business practices. Jackalope Theatre was selected from a group of five finalists by a majority vote of member companies of the League of Chicago Theatres. Jackalope was founded in 2008 by seniors in the Columbia College Chicago Theatre Department’s directing program, whose assignment in a Theatre Management Techniques course was to create a fictional theatrical production company. The project went so well that they decided to make their project a reality, and Jackalope Theatre Company was born. These founding members–AJ Ware, Kaiser Ahmed, and Gus Menary–were soon joined by Andrew Burden Swanson. Since that time, Jackalope has evolved into a dynamic, respected arts organization. Now in its seventh Season, the group produces three full length plays and a one-act festival of new plays every year, as well as supporting artistic programming of every discipline at The Frontier, its storefront home in the Edgewater neighborhood. As reported previously in this blog, Jackalope’s 2014 production Exit Strategy has been nominated for 2015 Joseph Jefferson Non-Equity Awards for Production of a Play, Direction (Gus Menary), and Ensemble. Jeff Award winners will be announced June 8.